Are pontoon house boats any good? They're popular, and seen everywhere. What are pontoon house boats, and why are there so very many around? The main reason is because they are safe and easy to operate, require little maintenance, and so reasonably priced compared to cruisers or yachts. If you're looking to buy a new pontoon houseboat, we have some special pricing available to our readers. We've teamed up with one of the leading aluminum pontoon houseboat manufacturers in the industry, and because of this we can offer you special new boat quotes here. Pontoon cylindrical tubes are the basic hull that the rest is built upon and range from 12 to 80+ ft. 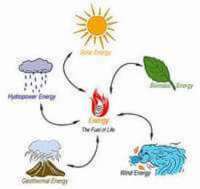 They are generally made of Marine Grade Aluminum, and can be made of Steel, Fiberglass, Plastic, Wood. Because of buoyancy, the smaller boats have two pontoons, and the bigger heavier boats use three due to the weight being carried. Small sized Pontoon Boats range from 20-30ft and are great for day or weekend getaways. Because of their size, they can be trailerable, and great for exploring new waters. 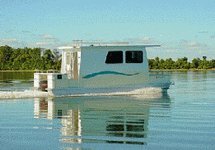 Medium sized Pontoon Boats range from 25-45 ft and are better equipped for sleeping, cooking, and living aboard. Large sized Pontoon Boats range from 40-75ft or more, and are the "mega" boats that are becoming very popular. They generally have all the space and comforts of home. 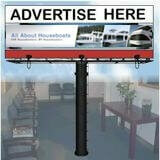 A video showing the interior & exterior of a Pontoon House Boat. We have compiled some of the common questions related to materials, size, weight, safety, transport, and of course building your own pontoon. What sizes of pontoons are available? You will notice that they range from smaller ones of @ 18-25ft, middle sized boats from 25-45ft, and now builders are making them in the luxury 75-80 ft range mega boats. There's boats for any use or budget. What kind of materials are they made with? One of the common materials for pontoon construction is "marine grade" aluminum, however they can be made from fiberglass, steel, wood, and even plastic now. Read more about pontoon houseboat construction. How much weight or buoyancy can pontoons hold? A good way to calculate the buoyancy of pontoons, is to use the figure of 180/lbs per foot of pontoon tube length, and this provides half submersion. Are three pontoon tubes better than two tubes? You'll find three pontoons often on larger heavier houseboats that require more buoyancy. I haven't noticed any major difference in ride or handling. What kind of engines do they have? You can find boats with either single, or twin engines. Single engines are generally more fuel efficient, however twin installations provide better maneuverability. Installations are often outboards, I/O, or sterndrive(s). Do some have roofs decks, and flybridges? On medium and larger sized boats you will find roof decks and flybridges, which are great for navigating, sunbathing, storage, and entertaining. Can you build your own Pontoon Houseboat? Yes, you can build your own houseboat. You can find plans and designs to suit any style or budget. There's a layout for any size family or project. Are pontoons safe from damage and sinking? They are very safe since pontoon construction is similar to taking soft drink cans, and welding them together, end to end. So in the event of a major impact, and a leak was to occur, only one chamber would have water in it. 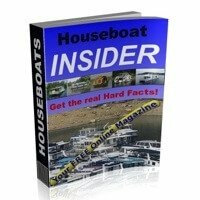 Can you use a pontoon houseboat for rough water? Because of the "low freeboard" you will find them mostly on lakes, rivers, and bays. They weren't designed for coastal or ocean going applications. Are pontoon houseboats trailerable, or transportable? The smaller pontoon house boats are "trailerable", however the larger ones are transportable with specialized equipment to haul, tow, & launch them. The height and width become a concern and so does the vehicle towing it. If the idea of building your own boat is on your list of things to do, than rest assured, with tools, material, and friends, it can now easily be done. A pontoon house boat floor plan, showing the typical design layout. Here are some of our articles that will be of interest to you. 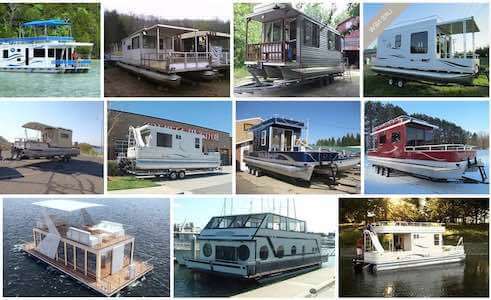 The basics to building your own houseboat. 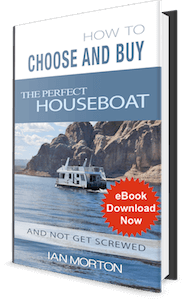 The pros & cons of house boat plans. 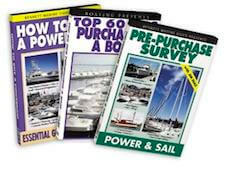 Free houseboat plans, and almost free ones. 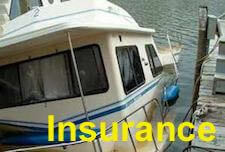 Looking to buy a pontoon boat, download the ebook. 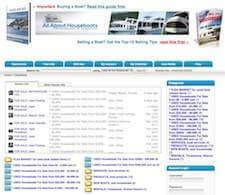 Return to the Top of the Pontoon Houseboats page.